The FIVB and Mikasa Corporation revealed the design of the new “V200W” indoor volleyball in a special ceremony tonight, followed by a celebratory dinner hosted by the FIVB and Mikasa for all delegates attending the 36th FIVB World Congress in Cancun, Mexico. The V200W features a perfectly balanced, 18-panel aerodynamic design that improves ball movement and gives players greater control. With enhanced visibility, the new indoor ball will optimise the quality of play and maximise excitement on the court. The double-dimpled microfiber surface stabilises the flight path of the ball and creates additional cushioned ball control, whilst the anti-sweat functionality “Nano Balloon Silica” prevents the surface of the ball from becoming slippery during intense play. The ball exceeds the FIVB’s homologation standards and passed stringent testing protocols, carried out by leading national teams and clubs over the last six months. The V200W will make its debut at the 2019 FIVB Volleyball World Cup and replaces the MVA200, which was first used at the 2008 Beijing Olympic Games. 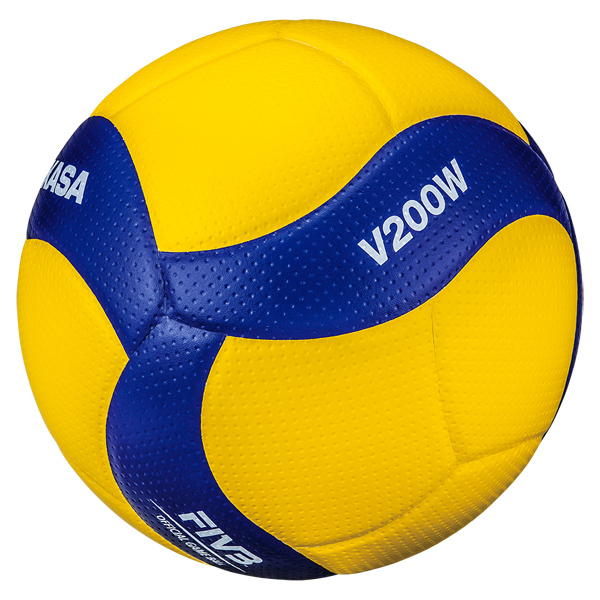 “Mikasa has supplied equipment for the FIVB since volleyball was first included on the Olympic Programme at Tokyo’s first Olympic Games in 1964, and the V200W will be the official game ball for the Tokyo 2020 Olympic Games.